On any given day in Long Beach, California, the weather is nice and this encourages automobile owners to get out and enjoy a nice drive when not working, attending school, or hanging out at their home. One of the unfortunate side effects of the nice weather that we enjoy in the local area is that amount of road debris such as rocks, small branches, and other material that normally gets washed away by the rain is still on the roads. This commonly results in the debris striking the auto glass of automobiles requiring consumers to seek out a quality auto glass Long Beach service to help take care of the damage. If you find yourself in this situation, Long Beach Speedy Glass is here to help take care of your auto glass repair needs. Our company has been in business for more than 25 years, and we know how to replace just about any type of auto glass that you can think of. Our service staff is well-trained, and certified to work on all makes and models of both foreign and domestic automobile, and all of our work comes with a free warranty to include our top-rated car tinting service. For additional information on car glass, visit: https://en.wikipedia.org/wiki/Car_glass. A common problem with less-experienced auto glass shops in the local area is that many will not have the resources to properly invest in the training of their technicians. This can result in a windshield replacement being installed improperly putting your vehicle occupants at risk in the event of a major accident. An improper install can also result in annoying leaks from the environment into the interior of your vehicle which can result in damage to the inside of your automobile. Why take the risk? Our company has placed customer safety as our number one priority since we first opened for business, and we always meet or exceed the manufacturer’s recommendations when putting new auto glass into our customer’s vehicles. We never use cheaper auto glass that is not approved for installation, and our installation processes meet or exceed those you will experience at the repair shops in the local area. When you call Long Beach Speedy Glass with an emergent car glass issue, it is our staff’s priority to help you determine the best way forward to fix the damage and get your vehicle back on the road safely. We commonly have appointments available on the same day to take care of your auto glass repair needs, and our staff is always happy to answer any questions that you might have. Please give us a call today for a free estimate or to answer questions that you have regarding the glass removal and installation process. We look forward to serving you. During our more than 25 years in business helping customers take care of their windshield repair and replacement needs, Long Beach Speedy Glass has found that one of the most stressful events that can happen to an automobile owner is having their auto glass Long Beach damaged beyond repair. Not only can a broken window pose a significant annoyance to the driver while operating a vehicle, but modern automobiles will typically rely on the glass being intact to provide the designed margins of safety for passengers in the event of an auto accident. 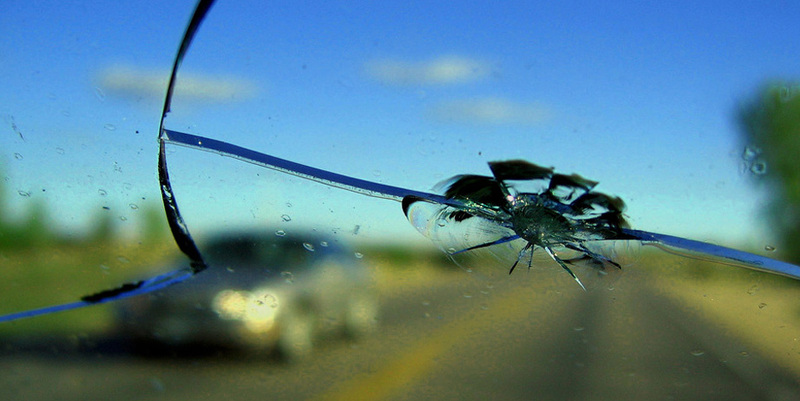 Unfortunately, many of our customers are not aware that even a cracked windshield exceeding the length that would allow an auto glass repair to be accomplished puts one at high risk during an accident. Not only will you run the risk of your auto’s airbags failing to deploy properly, but you may also experience additional shattering of the glass that would not happen if it had its full structural integrity intact. If you find yourself in a situation where you have a severely damaged windshield or side window on your automobile, the team at Long Beach Speed Glass is available to help you quickly get the glass replaced in a professional manner that meets or exceeds all manufacturer safety requirements. All of our technicians are both trained and certified to work on every make and model of automobile on the road, so it does not matter if you drive a car, truck, SUV, or van, we can help. We are also capable of replacing auto glass in all types of foreign-made automobile, and all of our glass replacement work is covered by a free, 100% lifetime warranty. With the deep relationships that our company has established in the business for more than two decades, our customers never have to wait significant lengths of time for our mobile repair teams to acquire the right auto glass to install on your automobile. Our repair services can also fit in to most of our customer’s lunch breaks in the event you do not want to wait to have your car’s glass repaired at your home or other convenient location. Simply give us a call today with any questions that you might have regarding our auto glass repair services. In the event you are a victim of a horrible car break-in, don’t let the thieves get you down. Once you’ve gotten the police report made and ascertained the overall damage to your vehicle, Long Beach Speedy Glass can help you get your auto back on the road as soon as possible. Many times, our team is available to help replace your auto glass on the same day that you give our staff a call. We will also make sure that a more basic windshield repair is not able to be accomplished before we recommend the more intrusive windshield replacement service. Our company has a deep relationship with the major glass suppliers in the Long Beach and surrounding areas, and often can acquire the right replacement materials in a short timeframe if we do not already have them on-hand. You will not be disappointed in the quality of work that you experience with our glass replacement teams, and we love to over-deliver on our craftsmanship and customer service for our new and existing clients. When you make the choice to pick Long Beach Speedy Glass, you are choosing the number one auto glass shop in the greater Long Beach area to take care of your urgent automotive glass needs. We will never leave a customer hanging, and we have some of the most competitive prices for glass replacements that you will find throughout Long Beach, California. Please give our staff a call today to see how we can best help you. All quotes are provided at no extra charge, and you will be surprised at our competitive rates when you enjoy our highly rated auto glass repair service. We also stand behind our work 100%, and our company offers one of the best warranties you will find in the greater Long Beach area of Southern California. Give our friendly staff a call today with any questions that you have. If you have lived in the Long Beach area of Southern California for any length of time, then you know that we see more than our fair share of sunny days in the city throughout the year. In some years, we see up to 300 days of sunshine depending on the weather patterns El Nino is bringing to SoCal that year. No matter what, if you are driving an automobile that has not had the benefit of having a window tinting service done to the windows, then you are missing out on some big benefits. If you are in the market for a quality, mobile auto tinting service in our local area, then you should look no further than Long Beach Speedy Glass. Our company has been in business for more than 25 years and counting now, and you will be amazed at the quality of work that our team delivers time and again to our customers. All of our service technicians are highly trained and certified to work on the windows of all makes and models of both foreign and domestic vehicles, and you will not be disappointed in the quality of craftsmanship that we deliver time and again. Most of our customers do not have sufficient time during the work day to bring their automobile by a garage or shop to have a tinting service completed. To address this problem, our company started delivering our premium mobile tinting service to our customers more than two decades ago. To encourage customers to take advantage of our premium mobile service, we never add any additional chargers to your bill for the convenience of the service. We also will never surprise you with any hidden fees or surcharges when you get the bill. We believe in full transparency when working with our customers, and we are here for you when it comes to anything to do with auto glass or auto tint for your vehicle. Our customers love the new look and feel that a tinting job brings to their vehicle, and it is not uncommon for their friends to think they have purchased a new automobile after we have completed our service on their automobile. If you have any questions regarding our tinting service options, please feel free to give us a call during normal business hours. We love to talk shop, and we are here for you. We will always give you a free estimate on our services, so just call us today. Long Beach Speedy Glass provides excellent auto glass services to customers located in Long Beach and surrounding areas. We have free mobile service anywhere in Long Beach California. We are Auto Glass Long Beach – Auto Glass Repair Long Beach - Long Beach Auto Glass – Long Beach Mobile Auto Glass Repair – Window Tinting Long Beach. We perform excellent Windshield Repair Long Beach – Auto Glass Replacement Long Beach - Windshield Replacement Long Beach. Our company also does Car Glass – Car Glass Repair – Windshield Replacement – Auto Glass – Auto Glass Repair – Window Tinting. Call us today for a free estimate on your mobile auto glass. We are known for excellent Mobile Windshield Repair. Call us today for you Auto Glass Repair – Windshield Repair – Windshield Replacement. We also have free mobile service. Please call for your appointment at 562-364-8366 for a free quote 7 days a week.